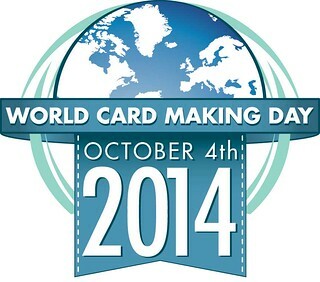 woohoo...It's World Card Making Day. I am participating in the special hops at Operation Write Home and PaperCrafts Blog Tour. I am so sad.....my Authentique 6 x 6 pad of Radiant is about used up. I am soooo loving all these beautiful papers. "Love" stamp was inked with Radiant Neon Orange, then I lightly touched the edge of the stamp with Memento Luxe Lilac Posies. I love the effect! Heart was punched, inked, spritzed with Sheer Shimmer Sparkle, then coated with Glossy Accents. After die cutting two of the "you" and gluing them together, I used irRESISTible Pico embellisher Wedding Dress on top to give it a nice glossy finish. Return to the Operation Write Home hop list HERE. What a fun cheery card! I love the bright colors and edging the LOVE was a brilliant idea! I love the two colors of ink on the stamp. I'll have to try that...thanks for the great idea! 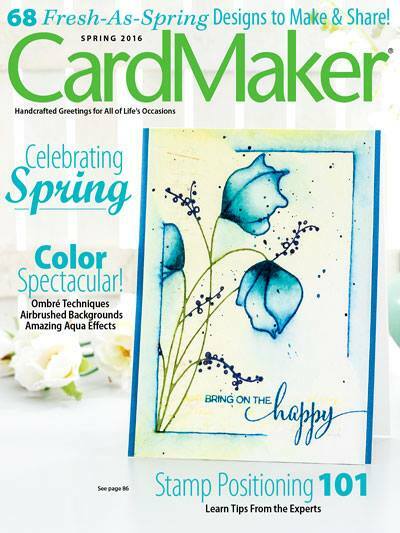 Great idea to layer the die cuts, I think your photo captures the pretty depth and shimmer quite well! Pretty card, lots of cool techniques, especially like the extra edge ink given to the love stamp! TFS! Your card is so bright and beautiful! I love the banners. I just love the bright and vivid colors of your card. The extra details really add lots of love. Wonderful job! I like the bright colors, your two-tone ink, the unique design- all your elements really. TFS! WOW!! 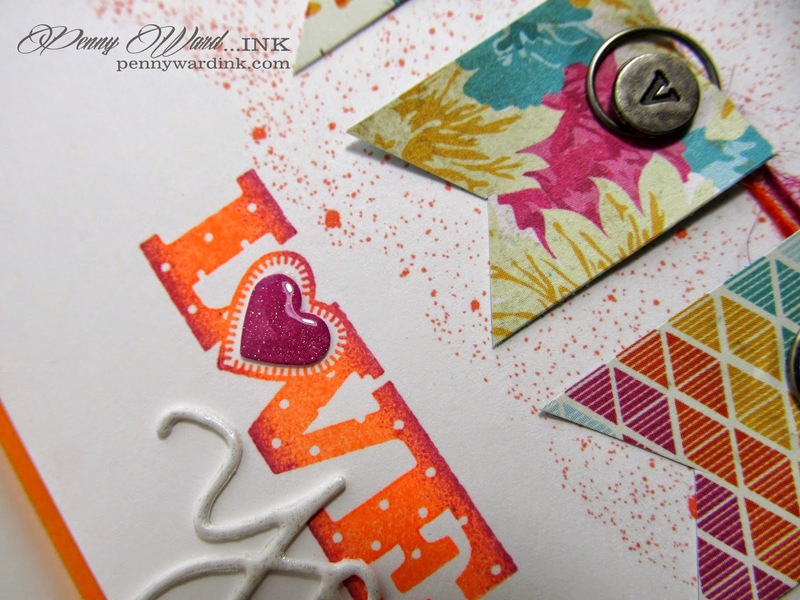 Fantastic colors, the flags...the stamping and those embellies (love them) all make this a stunning card. Super!! No wonder you're sad this paper is almost gone...it's really pretty. This is such a happy card, and you've used a variety of techniques. I love what you did with all your materials. Thanks for the inspiration. Yes, the love stamp in two tone is beautiful. Great way to get a different look from an "old standby" stamp. Such a striking design! I love the spattered background with your bold colors! Beautiful! I never thought of adding just a "kiss" of a second color to a solid stamp like you did with the "Love" stamp. What a great look. Happy WCMD! Fun card, love those banners and the s! Thanks for the inspiration! 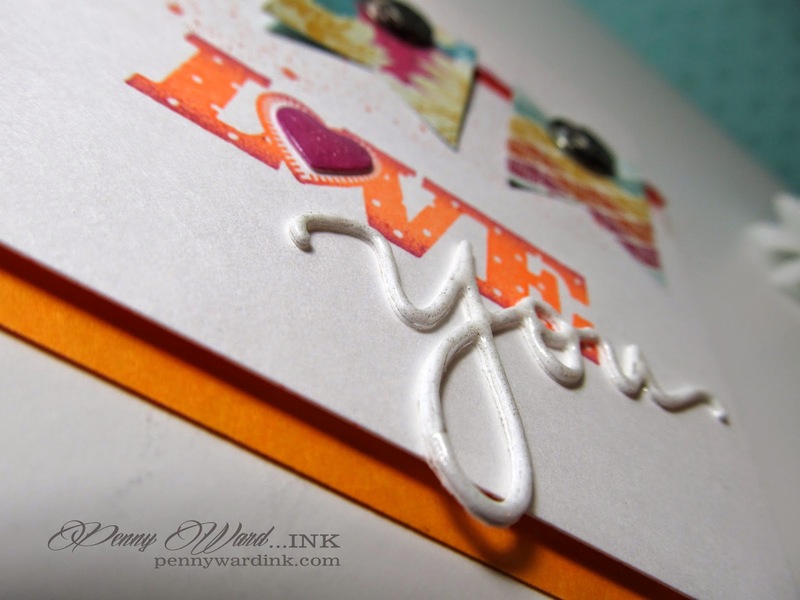 The way you inked up your Love stamp looks really great! And, I think you captured some of the sparkle in the "you". I love your card! You have achieved something that's not easy to do: lots of technique and detail yet still with a Clean & Simple feel. Beautiful card! Happy WCMD! Very nice!!! Love the look you created! Thank you for supporting OWH!!! Love everything about this card...the banners, colors, layout. Will have to case it! Thanks for the inspiration. Oh my!! What a great card with colorful patterns in those banners and the spritzed background - just really a delightful, love-filled card!! Love the ombre effect of the stamped sentiment. 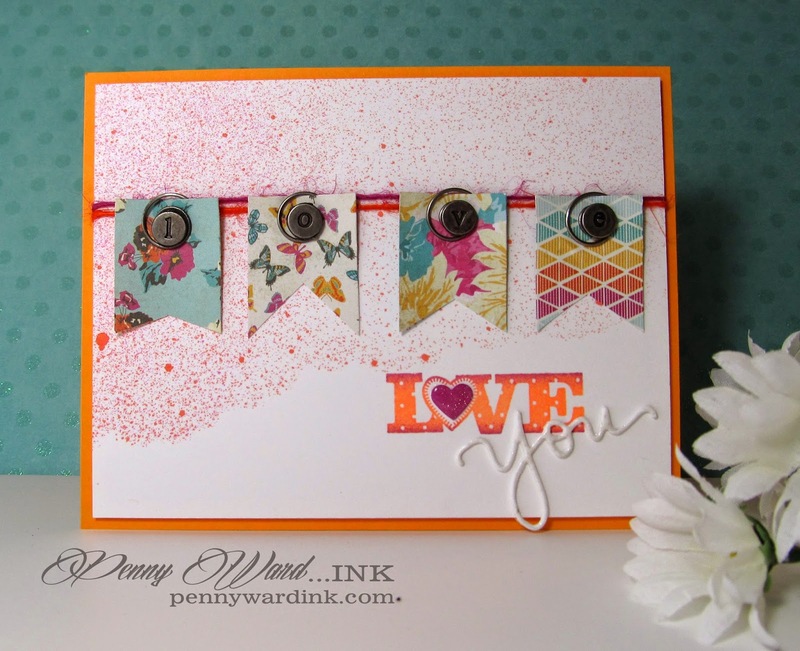 Great pops of color on the card :) Happy WCMD!